I felt sleepy, yet I want to update about things that I uploaded on Instastory today. Argh, I have so many things to share to all of you, but yeah, lets discipline myself to put one blogpost per day. Okay, just now, I had dinner with family. So I guess being home, my tongue going back to where it suppose to be. HAHA. Everytime I had my meals, I will end it with Bajau cuisine just to fulfil the satiety. So, usually I will take 1 scoop of rice and will continue it with aggang or putu. Oh, I am back to my root again. I don't know the other Bajau girls, but are you with me? Or, because my family really practice that bajau norm, so, my tongue is really adapting very well. but whatever it is, your culture and basic norms should be there, in your heart. Plus, I think, because I learnt about Diet, thus should be adventurous. LOL, it's my food what. "Oh, I wanna update on my instastory and for my blogpost. 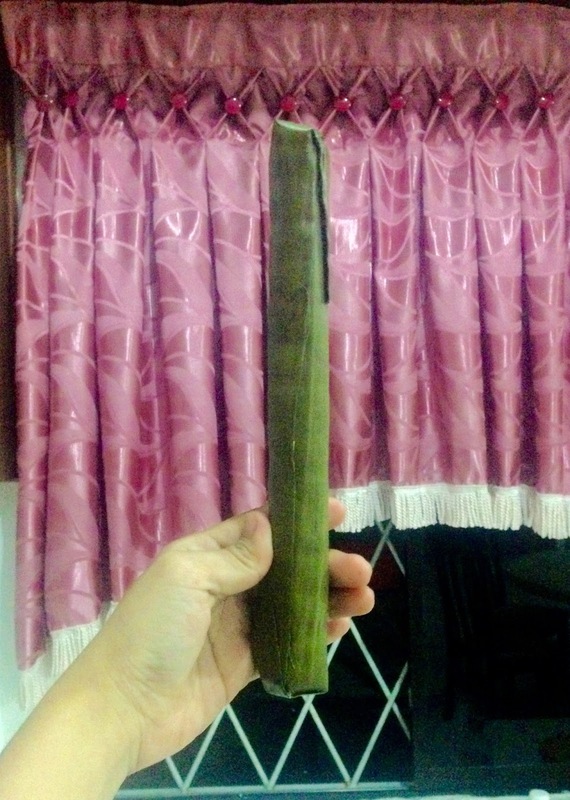 Mom, may I take that piece (opened Bamban) to show that to my viewers and my readers? " 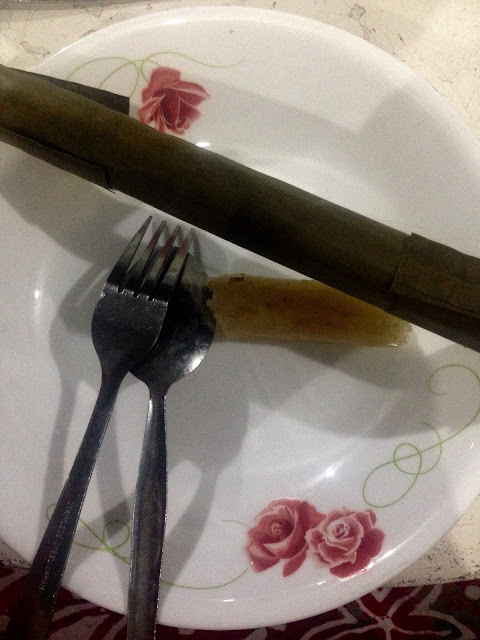 You know, the staple foods for Bajau People (aside from rice) are Aggang, Putu and Bamban. But I rarely mentioned about Bamban and I just had the chance to eat that. Basically, its a putu version, but wrapped in a leaf, be it banana leaf or there's another one but I don't know the name (should ask mama tomorrow). I think, I like Bamban, and Aggang. Okay, many of you asked me about the taste, basically, it has a sour taste and something starchy, because u know, it's from cassava. "Hoi, anak bajau mana yang makan Bamban pakai sudu garfu ni?" Usually for dinner I will used some cutlery because I don't know. HAHAH. It just some habit. But, I realized, when I was in UKM, I will NEVER eat if there's no spoons o fork. Okay, I think, because argh.. it's hard to say.